The original website for Omaha Rapid Response was built on a system that could be updated only from the computer where it was installed. 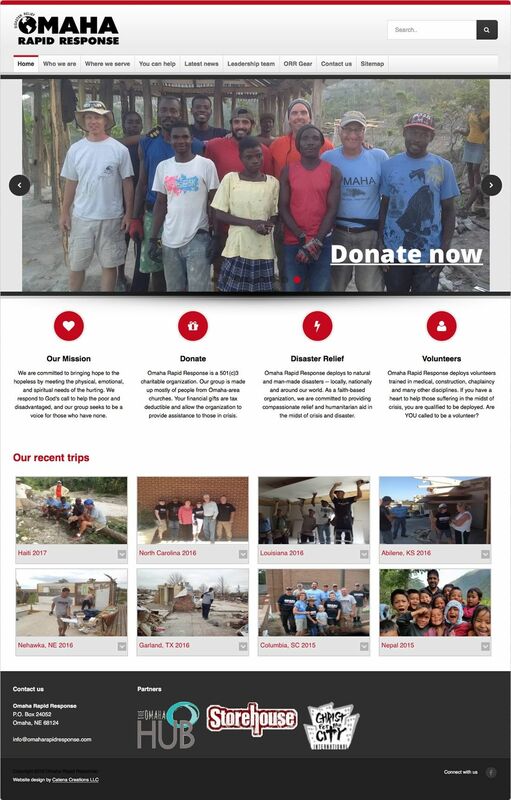 Since the group does disaster recovery work from sites around the world, they needed a website that could be updated from wherever they were working. We rebuilt the site in WordPress. We also created a photo gallery at SmugMug.com for the group to make it easier to upload and display photos from their trips. We rewrote text, added new photos, and created an online store. We added a news feed from Facebook, as well as a PayPal donations link. Catena Creations continues to manage the site for the group.